Visual sharing sparks the most online engagement, like a virtual yearbook signing party.Videos, followed closely by photos, are the content most likely to be shared on Facebook. If you aren't posting videos and photos, you aren't engaging your online fans to the fullest extent possible. According to a report from Zuum, a social media insight tool, videos and photos have a much stronger probability of being shared than status updates or links. Facebook has made it easier for brand pages to offer visual fare, and the brands that enjoy the highest level of engagement are feeding their fans eye-catching treats. Of course, it is not an either-or situation with visuals versus words. A mix of relevant material is best. But failing to post videos and photos, including those that are user-generated, is a mistake. Sharing visual content is what has spurred the remarkable growth and usage of Instagram and Pinterest. 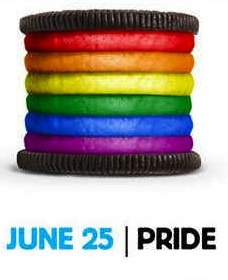 Oreo risked touching a controversial subject with its rainbow cookie, which ignited an online buzz.Writing about this trend, Jon Thomas of Story Worldwide provides some compelling examples of visual branding, including Oreo's striking rainbow cookie to celebrate gay pride. The simple graphic generated 300,000 likes, more than 90,000 shares and some 60,000 comments, Thomas reports. Plunging into a controversial subject earned Oreo lots of pushback. But if its goal was engagement, it succeeded. For those still intimidated by visual communications, this realm has become a whole lot more approachable. Capturing videos and photographic images is something virtually anyone armed with a smartphone can do. Plus you can invite your customers, employees or stakeholders to pitch in their videos and photos in what amounts to a huge virtual yearbook signing party. Red Bull has a reputation for spectacular, action-packed art that stimulates likes, comments and shares.The secret is to think visually instead of start typing. Thomas singles out Coke's relatively simple idea of asking its fans to complete the equation — Summer Days + Coca-Cola =. "Red Bull has made it a practice to post incredible videos and photos that are simply so cool your hand clicks the share button before your brain can tell it to," Thomas writes. Apple is a master of visual titillation.Apple is a master of visual titillation, as evidenced again last week by its launch of the iPhone 5. It tells the story of the new phone in arresting visual detail, emphasizing its slim lines and large screen. Words would be superfluous. 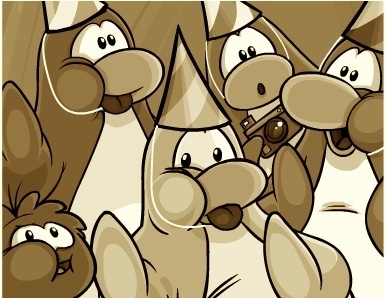 Visual hints and leaks before the launch were among the highest trending shares on social media.